Spring Loaded Finger Push 'Click' Bath Waste - Only £12.99! In stock now for only £12.99 including VAT! Hurry while stocks last! This great value, high quality chrome coated standard bath waste is constructed in the very finest brass and manufactured to the very highest standards. This waste has a smooth 'click' style spring loaded finger-push action. The superior quality of this item is reflected in the outstanding 10 year guarantee provided as standard. This superb waste is an essential addition for the installation of any bath. This Spring Loaded Finger Push 'Click' Bath Waste is the ideal addition to any standard bath. This superb bath waste kit is made of brass and coated in chrome. It is ideal for all standard baths, including the majority of the baths for sale on this website. 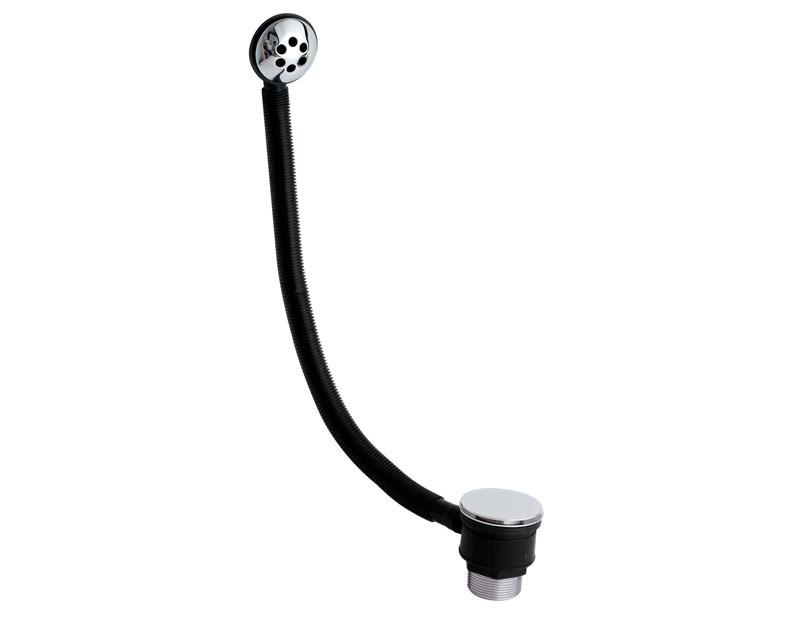 It is supplied complete with a smooth 'click clack' style action, which is a highly popular choice for modern bathrooms. Known for its superb versatility and ease of installation, this is one of the most popular wastes we sell. It is available at a highly competitive price, offering a highly attractive combination of value and quality. This is an extremely reliable, tried and tested trap which comes highly recommended by our customers - this is thanks not only to its superior build quality but also its highly competitive price. Please note that if you have a freestanding type bath, this waste will not fit - please see the Freestanding Baths section of our Wastes & Traps page for a suitable waste. The quality of our range of bath wastes is guaranteed. We provide a superb 10 year guarantee against faulty workmanship or materials (excluding serviceable parts), providing they have been installed, cared for and used in accordance any instructions supplied. This fine bathroom waste is built to the very highest standard, making faults incredibly rare. In the extremely unlikely event of a fault, we will provide a replacement ASAP with the minimum of hassle. 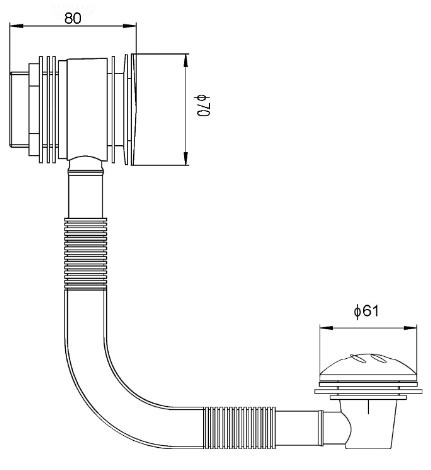 This guarantee is designed to be a hallmark of the quality of these valves, but also to provide maximum peace of mind.